Free chocolate is a good thing, it must be, it’s chocolate and it’s free. Or so I thought. 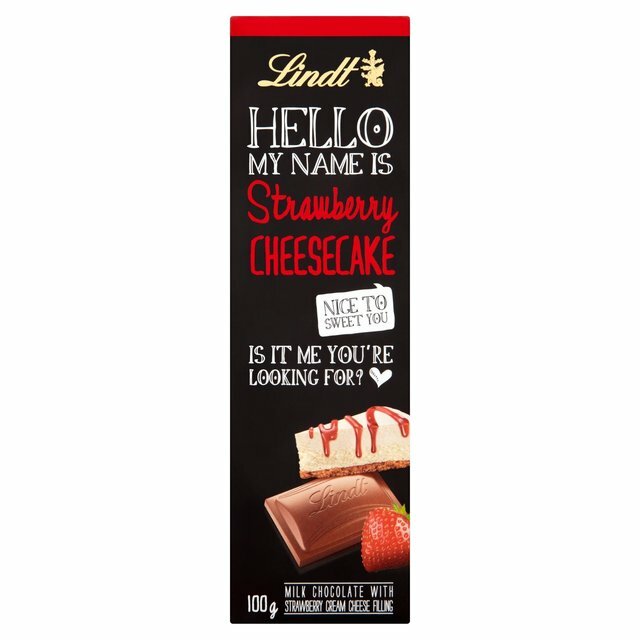 Then I tried Lindt Strawberry Cheesecake bar. To be honest I was slightly freaked out at the packing trying to make my food its friend – Innocent smoothies are just about tolerable at toeing the line between friendly and creepy, chocolate wanting to be my friend is a sinister marketing ploy. The chocolate itself was the usual Lindt taste – slightly greasier than I like and tasting of zero cocoa. The filling is disgusting, there are no polite words for it. But I learnt something, free chocolate isn’t always my friend – even if it claims to be. I get my news from a number of sources as it is amazing how different outlets can treat the same story with such differing perspectives and how some stories can fly under the radar of 92% of outlets only to be centre stage on the couple which do cover it. 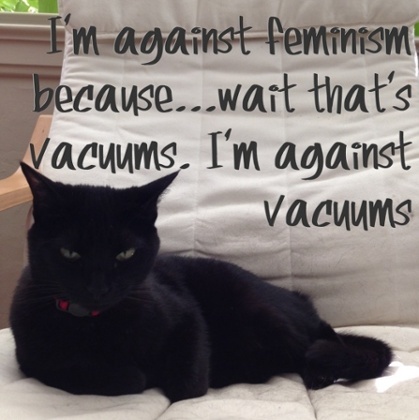 The Guardian article on cats against feminism could politely be called very cheap and easy journalism. It consisted of taking pictures of cats with captions from other parts of the internet (possibly entirely from wehuntedthemammoth) and giving a teeny tiny bit of commentary to explain why there were cat pictures. It was like Lolcats without my virus checker sticking massive warnings over the page warning about dodgy links or adverts or something generally bad. 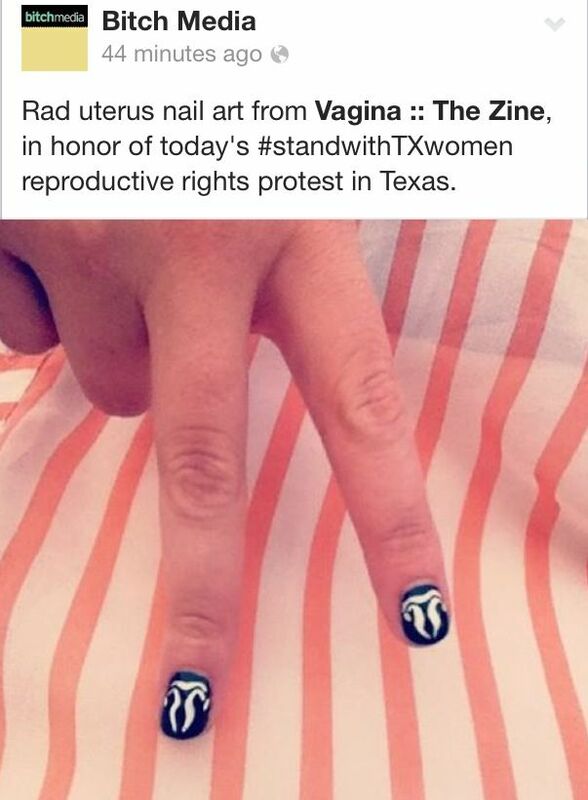 There must be a middle ground between reducing feminism to a meaningless symbol equivalent to smiling alien faces and painting your insides on the outside. Two members of the FBI and 4 random agents of some sort end up in the Arizona desert with a Federal Witness. 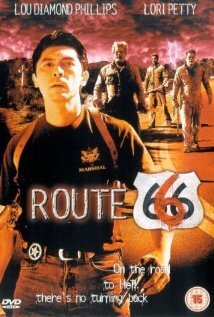 They take a shortcut on a condemned highway known locally as Route 666. It turns out there are four zombie-ghost things that kill people. Plus some corrupt police. Bad gore, bad dialogue, bad acting, it should be so bad that it is good… but it isn’t good. At one point there is clearly a passing car in the background on a road that is supposed to be deserted… but none of the characters notice despite their desperate desire to escape! 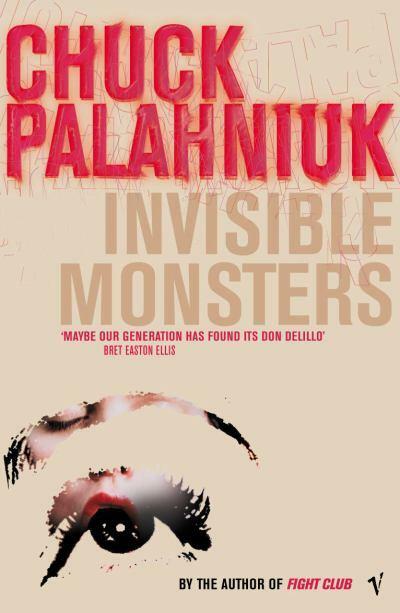 I have only read the original version of ‘Invisible Monsters’, I haven’t read the 2012 released version (‘Invisible Monsters Remix‘) despite a mild interest. This is probably because I am concerned that there might be more vivid descriptions of cosmetic surgery specific to a below the waist region. Stable named narrators are overrated in Chuck’s worlds, so instead we have a former-model who is disfigured and has multiple names given to her by Brandy Alexander who is has a personality to rival a force of nature. I can’t describe this book without spoilers, everything is a potential spoiler. What I will say is that it is useful to be non-squeamish and open-minded to the concept of family outside of the nuclear definition. It’s one of the bitchiest things that I’ve read, it’s funny, scary and downright weird. 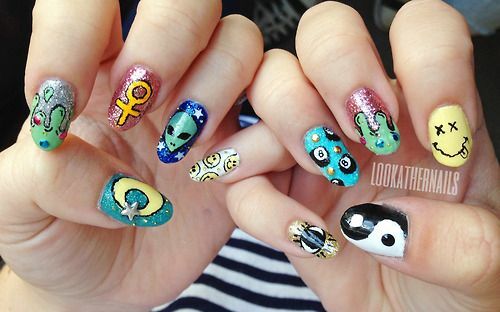 I can’t work out if I love or hate it, but it is completely unforgettable. First things first, I was given a free sample of this ice cream and ate it all up! I am normally a Ben & Jerry’s Pish Food girl, however I am open minded – in particular when I don’t have to pay for it! I hadn’t realised that Mövenpick was part of the Nestlé corporation. I am not boycotting them but I always feel slightly guilty that I’m not; I remember meeting some children on a holiday in France who were gutted that they couldn’t eat chocolate whilst on holiday as everything was Nestlé! Then my university decided to (very belatedly given the boycott started in 1977 ish) join the boycott whilst I was attending, which was a pain as I eat Smarties in exams so had to walk into town to purchase my fix. I don’t know why I feel happier in exams with Smarties, but it beats chewing the end of my pen. 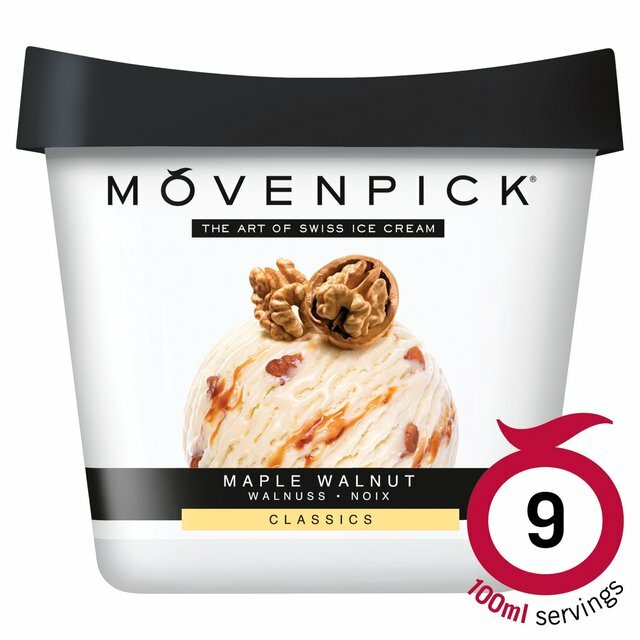 Anyway, if you can over look the Nestlé thing then this ice cream is worth trying – of course you’d need to like walnuts as it has lots of it. There is something fun about reduced price napkins. That might sound a slightly crazy sentence, however the logic behind it is I do like being able to give guests something funky and/or scary to wipe their hands on – which is essential for film and pizza nights! However I don’t want to spend lots of money on this as that would be silly, and the Scottish blood won’t let me! 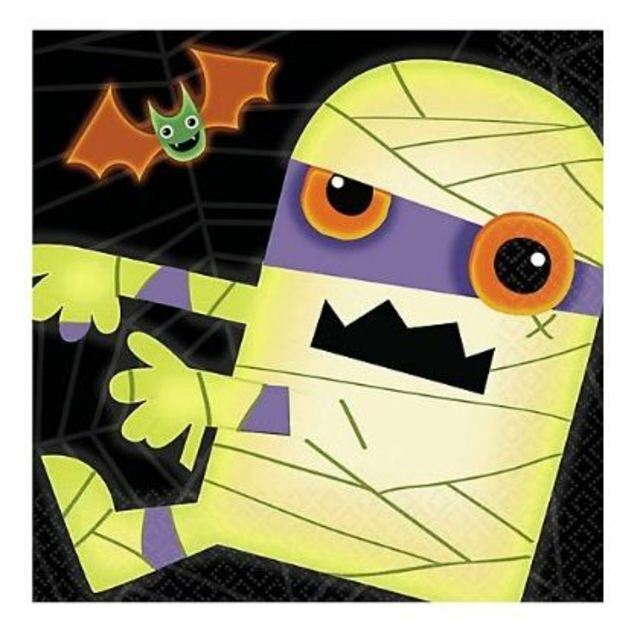 Usually I got for Halloween napkins as they start off very expensive (£2.50 plus for 20 napkins) and come down predictably. Also monster patterns go down rather well with the horror movie crowd. 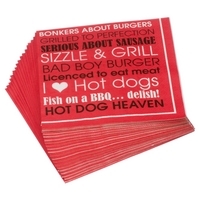 However I found some wonderfully awful ones in John Lewis at the weekend – they were called “BBQ napkins” and were decorated with cringe inducing phrases like “bonkers about burgers” and “licensed to eat meat”. My best guess is that these were intended to appeal to men, specifically non-vegetarian men of pretty much any age over 12 years of age. However as they were heavily reduced I guess they were too cheesy for anyone to actually buy – which is why I got three packs in the sale! I can’t wait to hand them out! 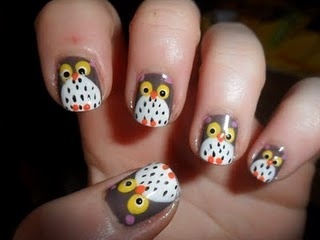 Nails: Owl nails – Evil omens? Depending on which mythology you look at owls are either wise or evil. Either way this sort of sums up work at the moment… well apart from the wise bit, but perhaps owl nails might be add some wisdom into the workplace. It has to be both a go at the very least! However these little owls look too cute to be evil, unless it is their evil plan – to look cute and then eat your soul whilst you are sleeping.